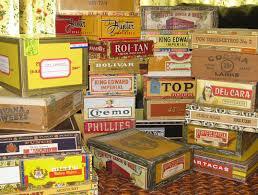 We have numerous empty cigar boxes. The minimal charge is to help cover shipping expenses. Limit of 4 boxes per customer.